Within walking distance of everything around the picturesque village of Fiscardo, this modern and luxurious residence caters to every whim with seamless service, sophisticated apartments and a wealth of thoughtful amenities. 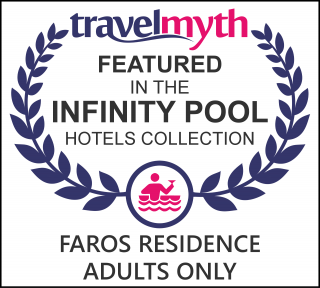 The state-of-the-art Faros Residence offers travelers a taste of fresh aesthetic design with modern comforts. The property has recently undergone a complete renovation and is a brilliant combination of style, elegance and urbanity. The property consists of 2 elegant apartments and 2 lofts, each decorated according to a contemporary and modern theme and always with a high standard of design, amenities and services. All apartments offer satellite television, a fully equipped kitchen, balcony, fans/air-conditioning. Notable for its unique style & interiors, this retreat is all about providing to guests the comforts of home. The owners focus on personalized, discreet & homely service and strive to bring high quality accommodation to guests arriving on the island.